Have you ever been frustrated with your hotel while on a vacation? If you are like most travelers, you have had your share of bad experiences. A bad hotel choice ruins your trip whereas a good hotel makes your trip more memorable. A memorable trip is exactly what Sonar Bangla will make out of your Puri visit. Find out why travelers love this hotel. Hotel Sonar Bangla is located on the Puri beach and provides a private beach for it's guests. 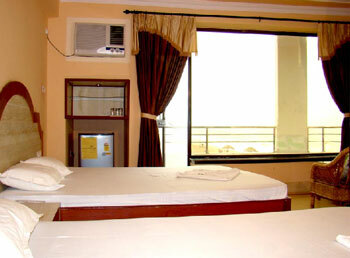 The hotel provides all major accommodation facilities including a multi-cuisine restaurant. Most rooms have a sea facing balcony - so make sure you ask for one (it could be difficult in peak seasons unless you book in advance). The hotel complements its deluxe rooms with additional 5 family rooms and 5 suites which tend to be more spacious and have sea facing balconies. Majority of the guests find the stay at Hotel Sonar Bangla relaxing. One review said "Liked the stay at this Puri hotel. Least disturbance and pure relaxation with home like food. loved the stay" . Another recent review wrote "I had been to so many places around the world and in India and Puri was the best trip so far. Sonar Bangla gave a very relaxed and excellent service. Thank you Sonar Bangla Team" (Read this review of Sonar Bangla). "[Hotel Sonar Bangla] made our holiday memorable" says yet another review by a family traveler to Puri. Sonar Bangla has 90% recommendation, i.e. 90 out of 100 customers who stayed at this hotel agreed that they will most probably stay here again during their next Puri trip or will recommend this Puri hotel to friends and family. Guests who stayed here loved the hotel for it's hospitality, beach location and particularly peaceful ambience. Read all reviews of Hotel Sonar Bangla, Puri. You can also compare reviews of all Puri hotels. It's fast and convenient to make an online booking for Sonar Bangla and other similar Puri hotels. About Puri - Puri is a popular tourist and pilgrimage destination with it's world famous Jagannath Temple and beautiful beaches (Top 5 Beaches in India). Puri is one of the top 10 summer desitnations in India and consistently makes its to the top-5 travel destinations for peak travel season in December. Read more details about vacation in Puri.